Love bear claw Danish pastry but do not want to spend the time making them? These unique Bear Claw cookies are an easy way to get the great sweet buttery taste of a bear claw pastry in minutes! There is no inside filling these bear claw cookies, just the great tasting cookie without the rising yeast to make the pastries. Note: If you wish to add sliced almonds to the top of the pastry, feel free. Just drop a few on top of the frosting. 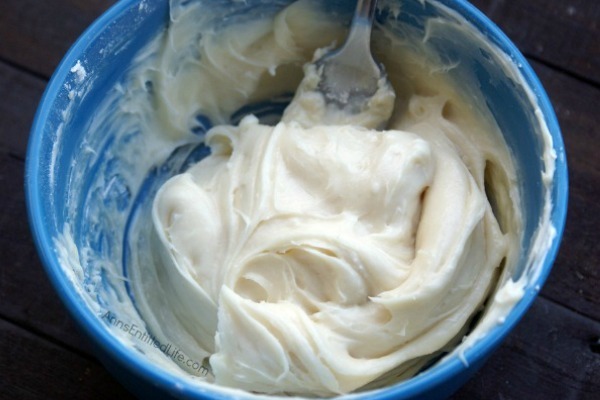 • In a medium sized bowl, cream together sugar and butter (mix for approximately 5 minutes). 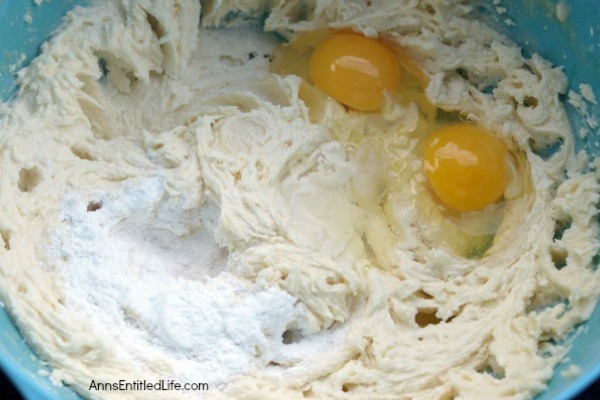 • Add eggs, vanilla extract, baking powder, and salt. Use a hand held or stand mixer on low for approximately 2 minutes until ingredients are mixed thoroughly. • Slowly add in flour 1 cup at a time. Mix well. 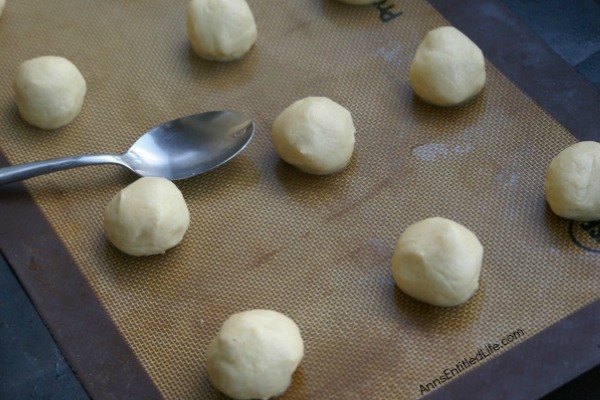 • Roll into 1″ balls and flatten with the back of a tablespoon to help create a small indent into the dough. • Bake for approximately 10-12 minutes. 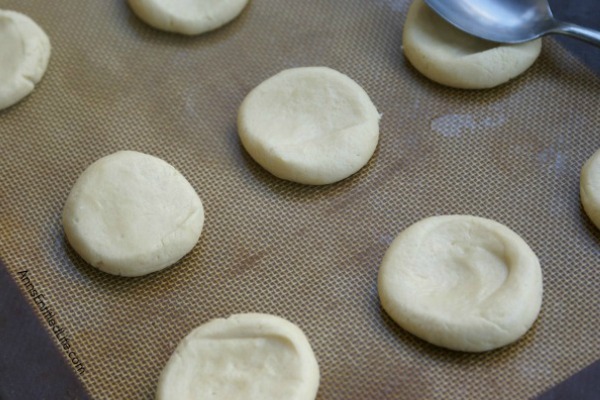 • Allow cookies to cool thoroughly on a cooling rack. • Allow cream cheese to come to room temperature to soften. Mix with blender to soften further. • Slowly add in powdered sugar a little bit at a time; mix well. 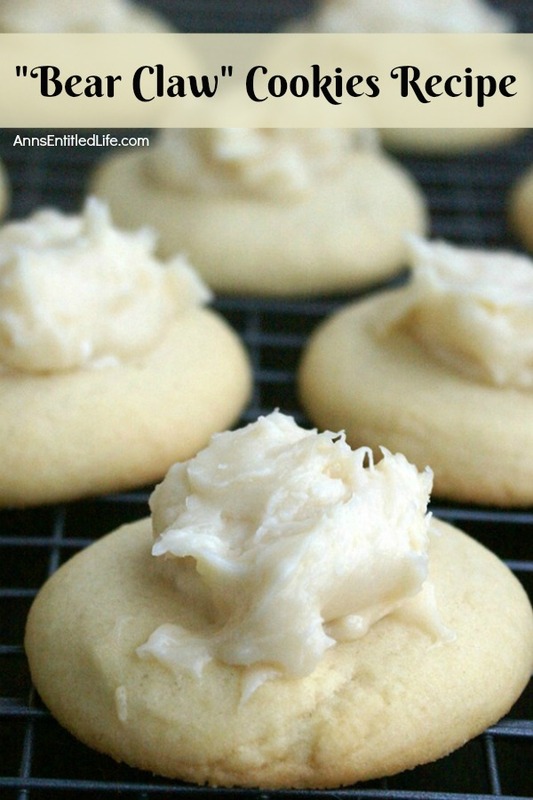 • Place a dollop of frosting on top of each cookie before serving. Great tasting bear claw pastry in a cookie form! 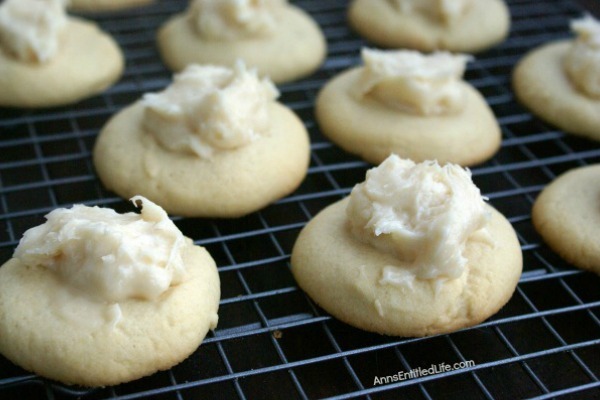 These easy to make bear claw cookies are fabulously sweet and buttery. 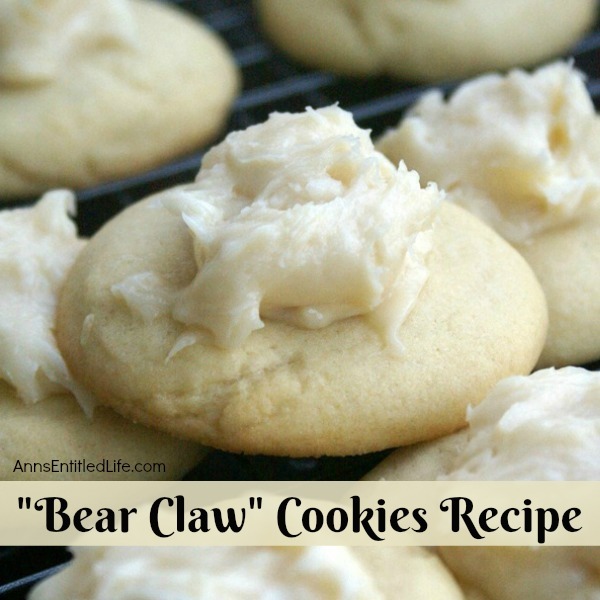 A terrific recipe for bear claws cookies to make for dessert, snacking, or lunchbox treats. • Add eggs, vanilla extract, baking powder, and salt. Use hand held or stand mixer on low for approximately 2 minutes until ingredients are mixed thoroughly. • Allow cream cheese to come to room temperature to soften. Mix with a blender to soften further. 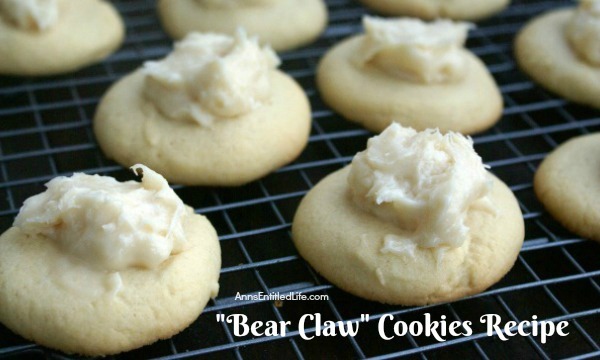 • To print the Bear Claw Cookies Recipe recipe, click here.